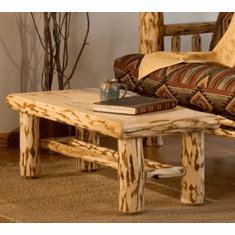 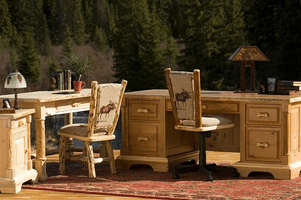 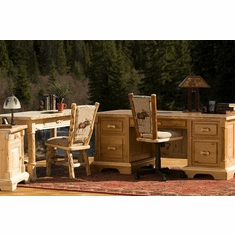 We offer a number of made in the USA desks for the ranging from the smaller LodgeCraft Jim Creek Writing Desk with natural edges, the Frontier Pine Desk or the Old Faithful by Old Hickory to the large Executive Solo Joe with or without a return. 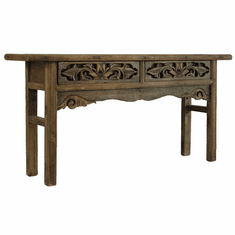 For a piece of history check out the Replica Spoke Desk which takes you a step back in time. 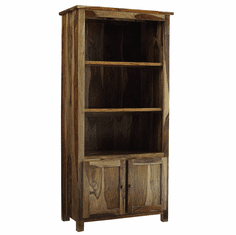 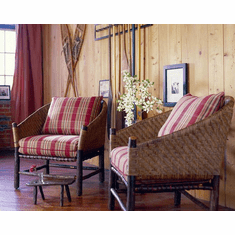 Add a matching credenza and rustic chair to finish your decorating project.